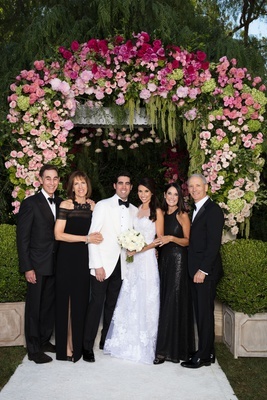 After a couple years of dating, Morgan’s father was in town and Daniel invited him over – they discussed the soon-to-be groom’s intentions with a glass of wine. 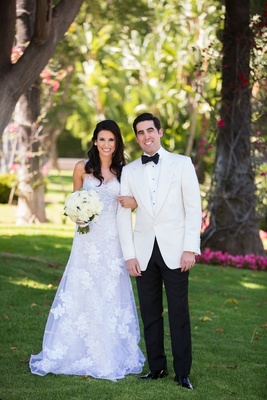 In the backyard of their new home together, Daniel asked Morgan to be his wife. 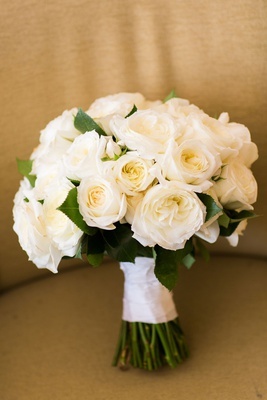 Though the couple was living in Chicago, the bride knew she wanted to be married near Manhattan Beach, California, where she grew up. 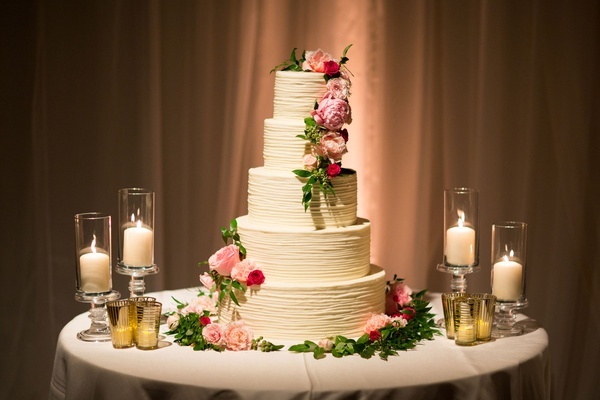 With only a few locations that could accommodate 400 guests, Morgan and Daniel were quickly smitten with their venue choice – selecting it sight unseen. 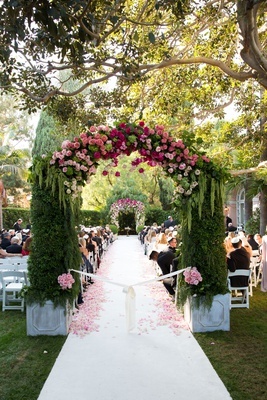 The bride admits she had a difficult time articulating what she wanted for the big day, but The Hidden Garden was able to materialize the vision in her head, using bright pink and green blooms for an exuberant atmosphere. 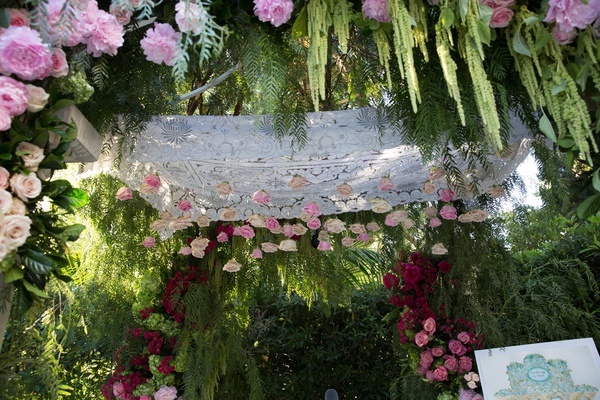 Both the bride and groom’s Jewish heritage and their love for their families was incorporated into the wedding, starting with a tish – or groom’s reception – and a bedeken, where the groom veils the bride before the ceremony. 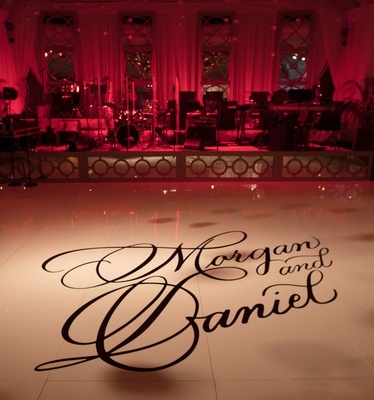 Prior to Morgan walking down the aisle, the couple elected to ask the orchestra to play two special melodies: “Somewhere Over the Rainbow,” in honor of Daniel’s recently departed grandmother, as well as “What a Wonderful World,” which was the first dance song of the parents of the bride. 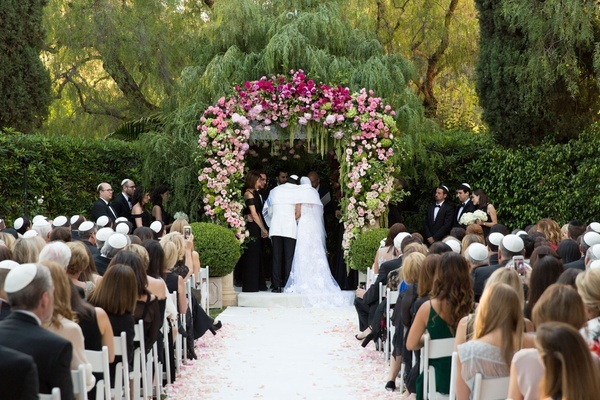 Clad in a romantic, lace A-line gown, Morgan entered the ceremony space under a lush archway of pink and magenta roses to meet Daniel, who waited for her beneath an even more vibrant chuppah. 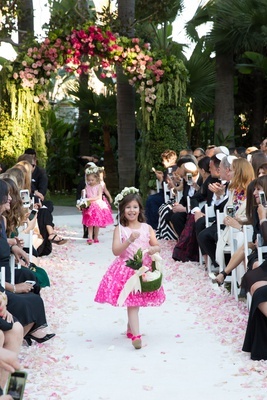 She was preceded by 18 bridesmaids dressed in black gowns and darling flower girls in bright pink to match the punchy hues of the blossoms. 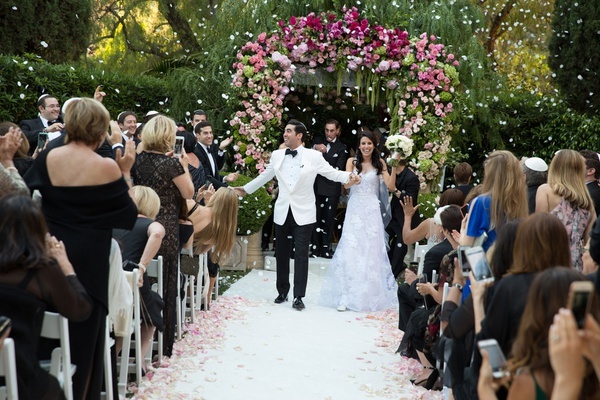 Following the traditional vow exchange, guests tossed flower petals at the newlyweds in celebration during the recessional. 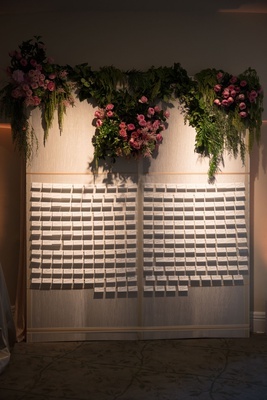 At the reception, guests took part in a photo booth featuring a backdrop made from banana leaves and bright pink tulips, miniature calla lilies, and roses. 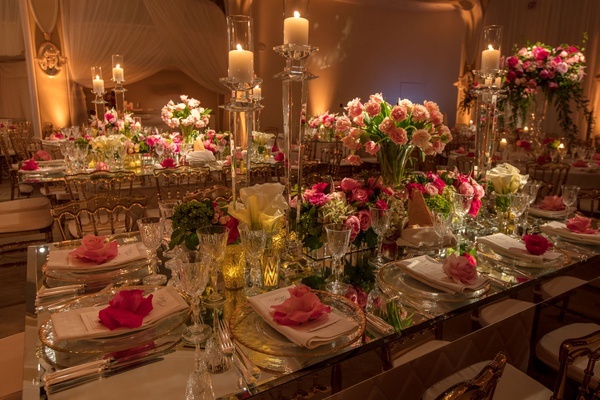 Dinner was enjoyed at a mix of long tables and square mirrored varieties, both adorned with crystal candelabra and a plethora of candles in addition to vivid blooms and verdant greenery. 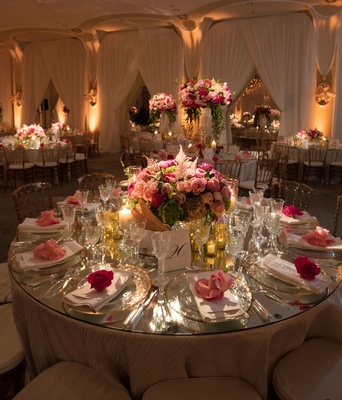 Crystal glasses and gold-rimmed chargers, along with specialty chairs, added to the luxe design of the space. 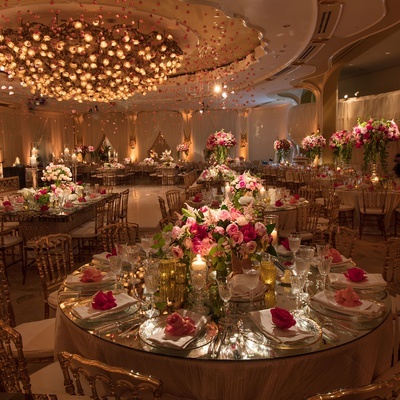 The look was softened and tied together with champagne and ivory linens, as well as elegant drapery throughout the ballroom. 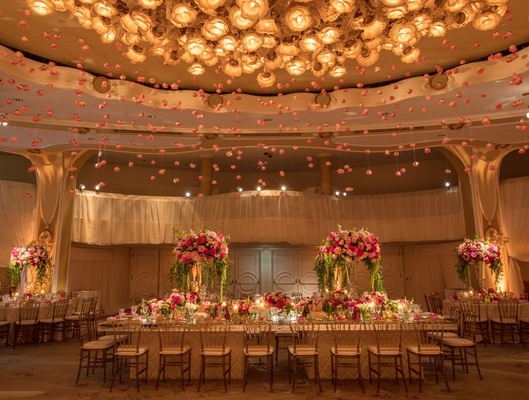 One of the bride’s favorite elements of the décor were the roses cascading down from the chandeliers. 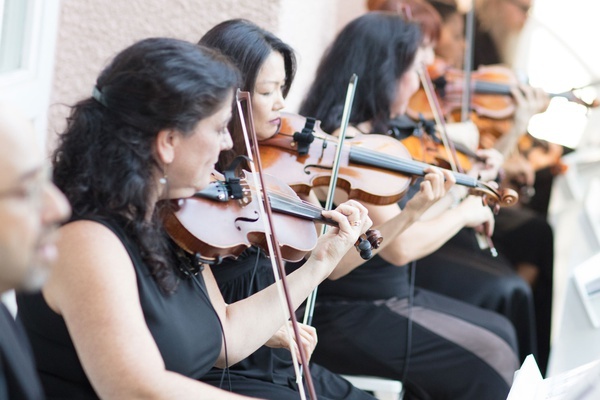 A klezmer band – which plays traditional Ashkenazi folk music – performed with a wedding orchestra for what Morgan describes as a “really wild hora.” She adds, “Danny even bodysurfed and got lifted on a serving tray!” It was the perfect start to a party that didn’t end until 2:30 a.m. 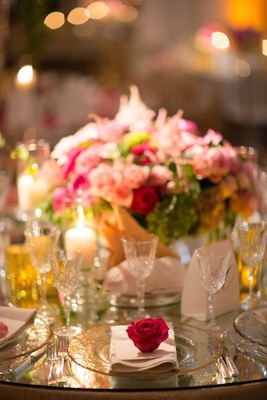 The groom had been heavily involved with selecting both bands, who kept the revelers entertained all night long. “I’ve never seen anything like it,” Daniel confirms. 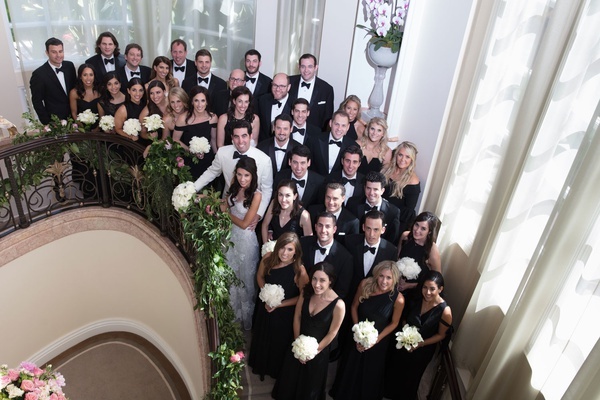 “We were surrounded by everyone that we love, and the energy was incredible,” muses the bride.